Taming cable clutter is easier than you think! You know what doesn't bring us joy? Charging cables. They're unsightly, they get tangled, and they always seem to be either in the way — or lost. So, in the spirit of Marie Kondo, we're here to tackle that rat's nest of cords from phones, tablets and other devices once and for all. I actually made a resolution to do just that last year, and it's probably the only one I kept. Similar available from Best Buy. 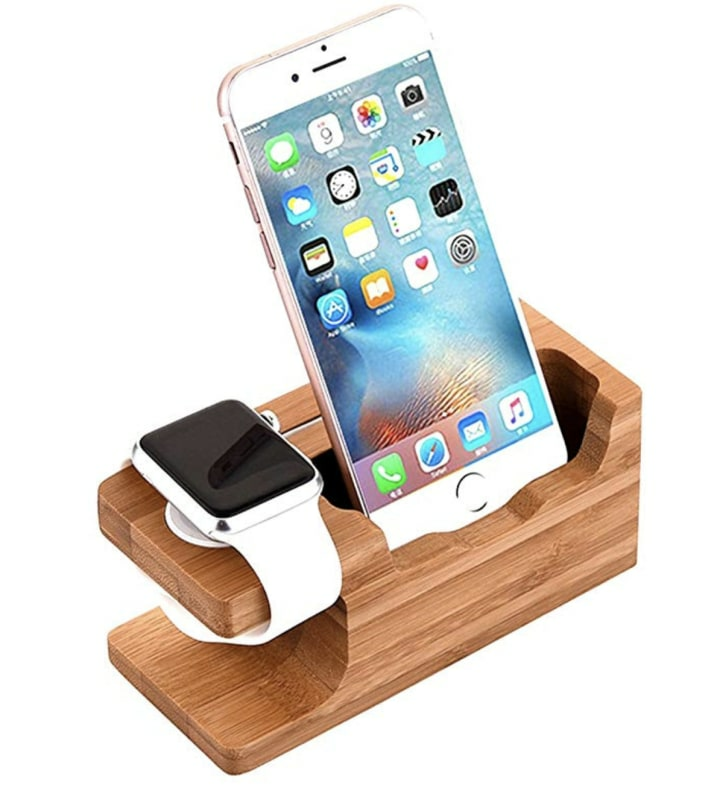 I chose this charging stand to charge my phone and smart watch. Now, instead of a loose phone-charging cable constantly falling down behind my side table, it stays in place and holds my devices in place as well. But really, let's face it, the biggest benefit is the glorious feeling of being organized and hiding those hideous cords. Also available at Houzz and Great Useful Stuff. Similar product available at Wayfair. There are different iterations of charging docks, too. 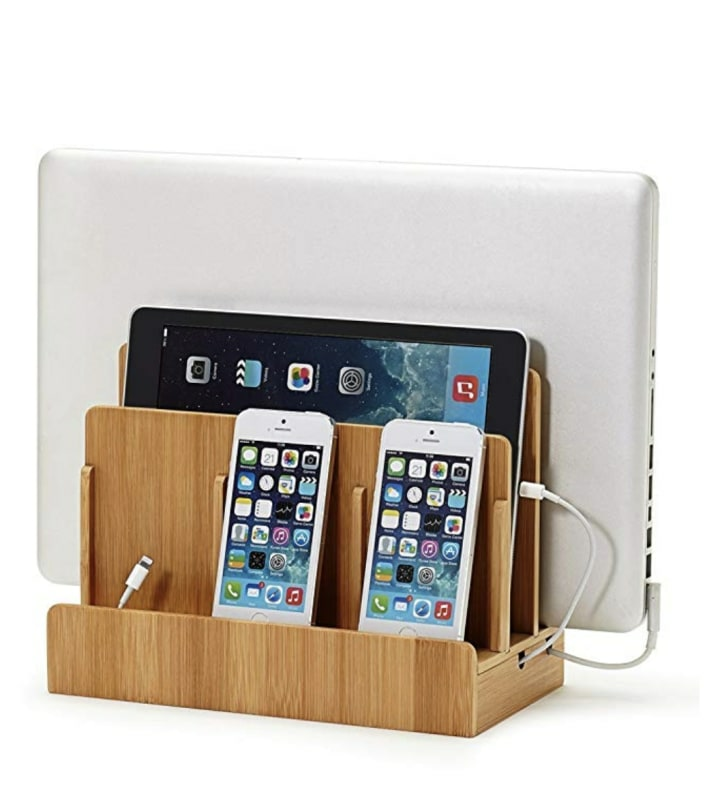 This one can hold multiple phones, tablets, and laptops. Other editors on our team have used stations like this to act as home base. 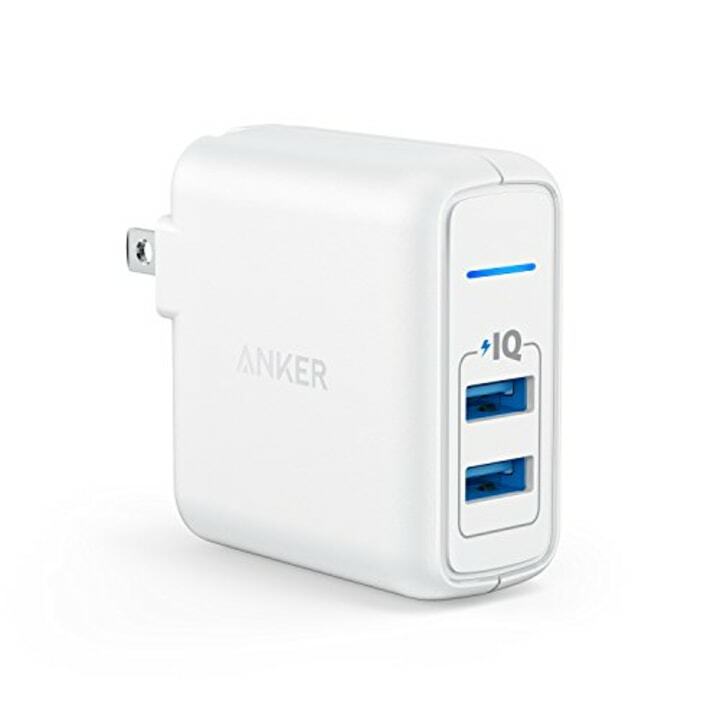 So all the devices and chargers are in one place — now how do you plug them in using one outlet? 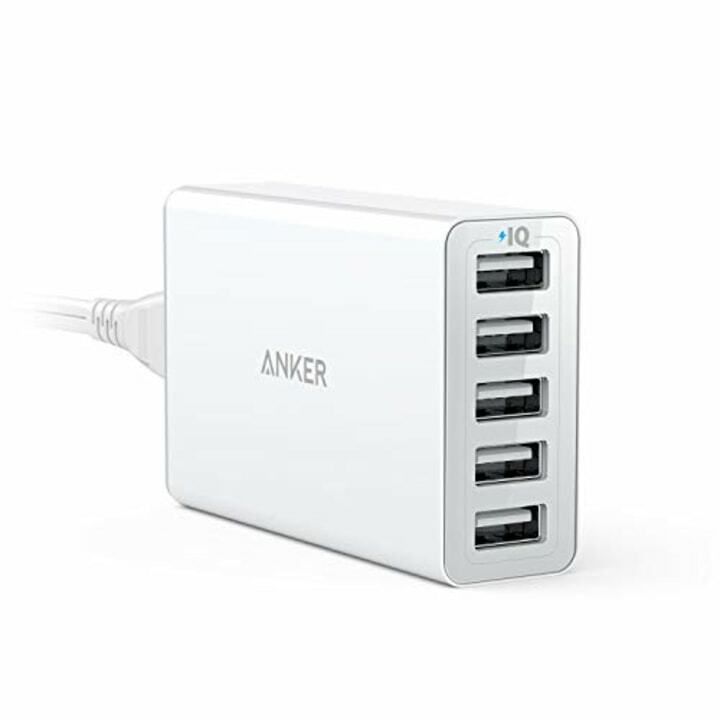 I swear by Anker's multiple USB port wall chargers. They also charge devices more quickly. It has a near-perfect 4.5 out of 5 star rating from over 3,300 reviews. Similar available from Home Depot. And if you want to plug in tablets and phones for the whole family, there's a five-port version as well (which scores a similar 4.8 stars out of 5, from over 3,700 reviews). Both plugs protect your devices from power surges, too. There you have it: a fool-proof way to tackle cord clutter. Because, unlike those shirts you haven't worn in years, we can't simply toss our chargers — but conquering them, at last, did spark quite a bit of joy!